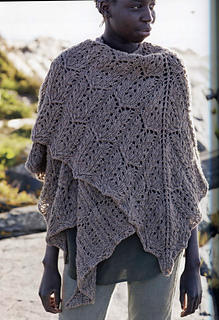 Wanderlust provides proof that lace shawls don’t require tiny yarn and needles. Knit in bulky yarn, this is the perfect shawl for a walk in the woods or a winter night by the fire. 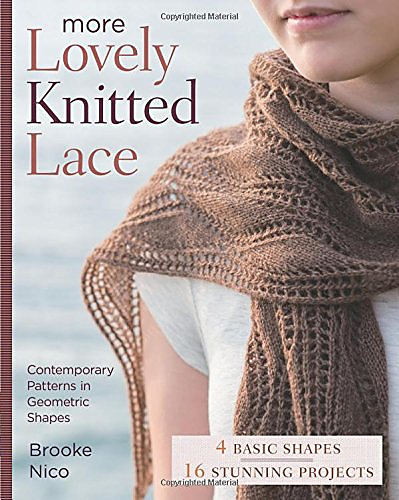 The classic wool produces great stitch definition and really pops the floral shape that emerges from this stitch motif. This shawl is made of 4 triangles; think of it as two top down triangle shawls stuck together. We start with a tab as in a traditional triangle shawl; this allows the shawl to hug the neck as you wear it.